I’m trying my best to streamline my music collection at present. Honest. But in this day and age of ‘listen and rip’, it’s not getting any easier for those of us wanting a little more than a computer file to add to a tunes console. I was going to say walkman there, but I think I got away with it. So here’s the thing, and I’ll use this as an example. I wasn’t quite old enough to go out and buy The Jam’s All Mod Cons first time round. Luckily, I had a brother who was already earning at that point, who bought it on cassette instead. And all the time he was at home – and that takes us to 1983, I believe – I could rely on borrowing his tapes and sharing his radio-cassette player for the albums we jointly savoured. 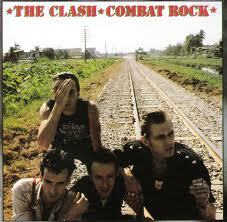 When people ask you the record you first bought, chances are it’s embarrassing, but with me it was The Clash’s Combat Rock (1982) on cassette. That would have been from Bonaparte’s in Guildford. I was 14 at the time, and it seemed like a worthy addition to our joint collection. Many more tapes followed from my wages for delivering Sunday newspapers and serving in the village farm shop, not least double-A side ‘cassingles’ like Ramones’ Baby I Love You/Don’t Come Close, The Rezillos’ Top Of the Pops/Destination Venus, and Tubeway Army’s Are Friends Electric?/ Down in The Park, each in a cigarette pack-style flip-top cardboard picture box. Time moved on, my brother took his stuff with him, and I persevered with cassettes until I took my first proper Saturday job, working at Boot’s in Guildford and making the most of a staff discount to finally switch to vinyl, powered by a new Sony C27 midi system that saw me out for the next 15 or years (before a cast-off turntable of my mate Al’s took over). 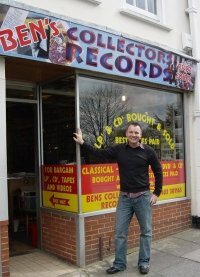 Those days coincided with my discovery of a nearby record shop, becoming good mates and a regular lunchtime visitor with the lad who now runs the superb Ben’s Collectors Records across the town. Soon, my indie, punk and new wave vinyl was bolstered by classic 60s soul, and I finally had the beginning of a collection. In that period of disposable income, I amassed a weight of LPs, 12” and 7” singles, the odd EP and even a few 10”s. At times, I needed my Echo & The Bunnymen-style overcoat to get back to my bedroom without the guilt of being challenged with the inevitable, “not more bloody records, surely?” Let’s just say that in recent years my better half confessed that she only really believed I was finally making the 250-mile move from Surrey to join her in Lancashire when the first car-load of vinyl arrived at her house in late 1993. I got into CDs much later, starting with The Undertones’ Cher O Bowlies best of, chiefly for the fact that it had a different picture of the band on the front ( I already had all the tracks, of course). I still prefer vinyl and its superior sleeve artwork – inner, outer and gatefold, but times move on and while many thousands of people are now reverting to LPs, you need an expensive system to appreciate the supposed better sound quality. And with a young family, bugger all money, and a severe lack of space in my current household environment, I’ve had to turn to eBay these past couple of years to help off-load my treasured collection. I did buy one of those USB turntables at first, recording vast swathes of records I hadn’t yet re-discovered on CD onto a hard drive. But the model I chose wasn’t the best quality, and I’d find I was three minutes into a song before it picked up a slight imperfection and jumped. It was a good way of listening to all that old stuff for the first time in a few years, but the experience was a little frustrating to say the least. In the end, I became something of a grouch, as my girls heard me playing my LPs and decided to dance along while I warned them not to get too vigorous too close to the turntable as it might scratch the discs. I might as well have been playing them Pink Floyd, and soon decided it was taking far too long anyway. Besides, when you took into consideration the hours wasted in this venture, it often proved easier to track down the LPs in CD format via the internet or trawls through charity and record shops. I sold a few of my LPs to a local collectors’ shop when I moved house in 2003, and since then another 400-plus have followed via eBay. I’m now down to less than 100 LPs and 12”s, some of which I couldn’t bear to be parted from (though some will surely follow shortly). It’s not just my vinyl, with a few of the other half’s collection in there too – all that Cult, Deacon Blue and INXS stuff I could never admit to owning. That’s not to say there weren’t a few LPs I pretended were hers to avoid embarrassment, mind. While it hurts to pass on a lot of that vinyl, I had my reasons, and in many cases the feedback I’ve had from delighted LP junkies has nearly made it worth the dilemma. Some do it because of what they perceive as superior quality, others – like the guy who bought a few of my U2 albums and singles – say they just like to look at the old sleeve while playing their CDs. Pure nostalgia. And in one case there’s a couple in Scotland who bought a few of my old LPs who told me that their friends easily know where to find their house, as it’s a little cottage in the middle of South Ayrshire which comes with a huge pair of speakers attached. I’ve come to terms with passing on my vinyl these days, but that doesn’t mean I’m not having problems keeping my CD collection as condensed as possible. And the greatest challenge I have at present is through the collectors or deluxe edition style of marketing. 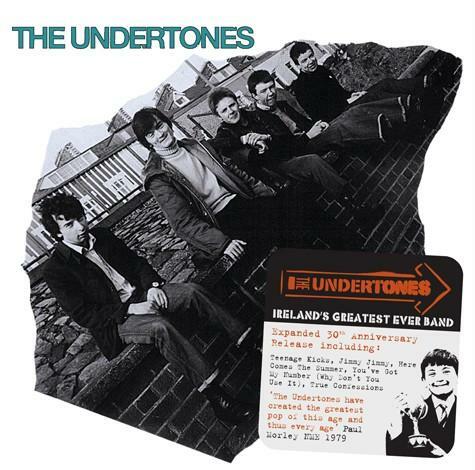 By way of example, go along my CD racks and you’ll find three versions of The Undertones’ first two albums, two more of the last before Feargal Sharkey’s departure, four more collections of hits and rarities and the two albums since their reformation. Needless to say, I still have the vinyl too – 7”s, 12”s and LPs. 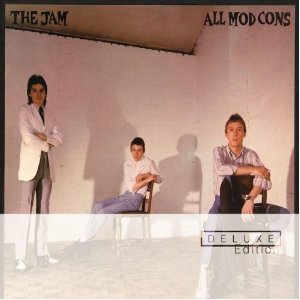 It’s a similar story with The Jam, where the deluxe editions of All Mod Cons and Sound Affects recently complemented the remastered CDs, which replaced the original CDs, which replaced the vinyl (which of course I still cling on to). The same goes for Paul Weller’s early solo output, and The Wedding Present, where the collection runs to 20 bits of vinyl plus numerous CDs, even more if you add David Gedge’s Cinerama off-shoot. 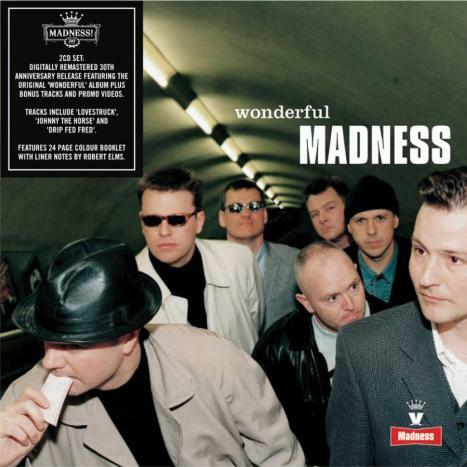 To illustrate the whole sorry story, not long ago I decided to get the Madness LPs I craved on CD too, and was soon distracted by their nicely-presented Salvo two-disc sets. 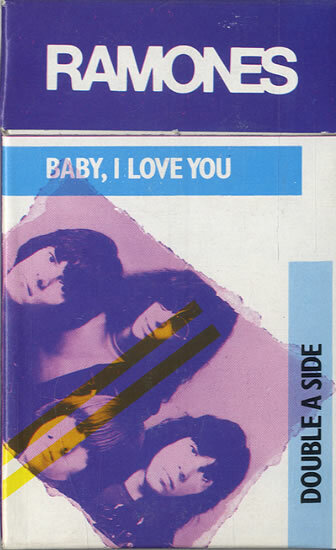 I’d already splashed out on the Salvo repackages for Slade and The Undertones, and now came this – each Madness album in a natty, Nutty Boys two-disc set, each with a letter on the spine collectively spelling the band’s name. I bought them out of order, having only originally aimed to get the first album, One Step Beyond, plus Keep Moving and Mad Not Mad. But the rest soon followed, right up to the aptly-titled Wonderful, where I found not the last ‘S’ but an exclamation mark instead. So where was the last ‘S’? I eventually asked the record company and they confirmed it was meant to be on the ill-fated The Madness release, but licensing issues had arose. Since then, I’ve bought the CD/DVD version of The Liberty of Norton Folgate too, yet I’m still missing my ‘S’. And until that last Salvo double-set arrives, a section of CD rack at mine will bear the legend MADNES! That fairly sums up my predicament. I never thought I was a victim of sales and marketing, but while I’ve never been a completist, it’s clear that my back-catalogue will never be complete. Meanwhile, the deluxe edition re-issues continue, and I dread to think what might follow this particular record company gimmick. This entry was posted in Music and tagged guildford, Madness, Music, paul weller, Ramones, Slade, The Clash, The Jam, The Undertones. Bookmark the permalink. Nice piece. I’m a bit of a sucker for these reissues as well. Can’t say I object too much – if I feel I’m getting the definitive package I’m happy. At least there’s the sense that you’re getting everything worth hearing and there won’t be yet more editions to follow. Though maybe that’s a naive view. There are always a few more demos to tack on to a future package, right? I think Elvis Costello’s albums are the worst for this – God knows how many editions there have been of the ‘EC good period’ albums. The practice that does get my goat is labels reissuing albums just a few months after the original release with a bonus disc. Each time it happens I feel hoodwinked – it’s artists’ most ardent fans, who buy on release, who suffer here. Rarely are consumers treated with such disdain. It’s got to the point where I don’t buy a new release that’s only issued as a regular, single-disc on the assumption that a better version will be available when the label wants to get it displayed prominently at HMV 6 months later. Generally, I’m sympathetic to record labels trying to operate in very challenging times. But to actively create a negative experience for your most loyal customers really isn’t a smart move. There. Glad to have got that off my chest. And a nice speedy response to your piece as well! You’re spot on, of course, Don. And while we’r on the subject of Elvis Costello, he got my goat pretty early on in this respect – being one of the few artists whose albums were too long to fit on to one of the old C-format cassettes in those long-gone home taping days! By the time the CDs came out I found I was discovering tracks for the first time!